THE READERS RAG: WORDS A TWIN SISTER NEVER WANTS TO HEAR--"HE'S DEAD! ": TAMARA PALMER'S "MISSING TYLER"
WORDS A TWIN SISTER NEVER WANTS TO HEAR--"HE'S DEAD! ": TAMARA PALMER'S "MISSING TYLER"
Imagine a nice family occasion--a dinner at home with the family, a birthday celebration--and you get that phone call, or a knock at the door. The news is devastating: "Your son is dead." Perhaps you are a twin sister, as it Kit's situation. All of a sudden there is this immense silence, as you are suddenly thrust into a world you had no idea of before--the world of grieving and loss. This is where 15 year old Kit finds herself, along with her increasingly estranged parents, the summer before her sophomore year. Her Mom is hell bent on suing the driver of the vehicle that hit Tyler as he was riding his bicycle in the dark. Her Dad says, no way. All he wants to do is sit in the garage at all hours of the day and brood upon his loss, with or without liquid sustenance. At home Kit (or Katrina) walks past a deserted bedroom with the closed door on a daily basis and wonders: is there life after death, has her twin Tyler been transported to another realm, or is he just dead, gone, finished. As she struggles to find answers to these questions, all of a sudden she is no longer just Kit, fun loving teenager, bumming around the beaches of New Jersey for the summer and taking on a job as a camp counselor at the local JCC. She is Kit who has experienced an immense tragedy. She is wrenched out of her ordinary life, and all of a sudden she finds a great gulf has developed between herself and other people--between how she saw herself before, and how she sees herself afterwards. Before, she was Kit who didn't think much about dating, now she finds herself attracted to three separate boys, one her twin brother's former best friend. Which boy will she choose? Who will step forward a play that magical role as Kit's first true love? Without the twin who anchored her identity, all sorts of possibilities open up to her. Along with her romantic challenges, she confronts another pressing issue: will she be able to hold onto her relationship with both her Mom and Dad who appear to have lost the ability to be together after such a great loss, or will one of them fall by the wayside? These questions and more unfold as master storyteller, Tamara Palmer, introduces us to the Carlin family and divulges to us their hopes, their dreams, and their sufferings. Fair disclosure, this story was truly close to my heart. I also grew up in New Jersey and spent my summers at the shore, I also came from a mixed faith family--Jewish and Anglican-- and I also lost my little brother at the age of 16, a year older than Kit, and so I have walked her walk, enough to know how expertly Tamara Palmer has handled her subject matter. Apparently, Ms. Palmer had two previous agents who were relatively obscure and did not have the clout to get her manuscript before any serious contenders for her work. 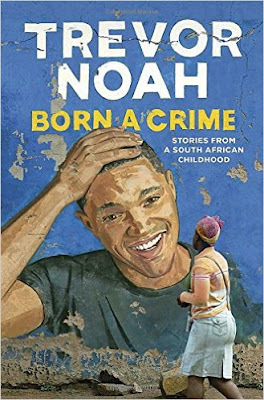 This is unfortunate because it is a damn good book and as a book lover, I like to see the right kind of people working with it. Of course, these kinds of unfortunate situations, where outstanding authors end up being unrecognized, occur all the time. Publishing is not as easy business, as I well know! I think some of what happened with this book is also the consequence of what happens with many women writers. If you have a job and an active family, plus a few pets, it is really hard to get focused on sitting down to write query letters to agents. I certainly get that. As I write this, and I assume some of you are aspiring writers yourselves, you will certainly appreciate what I am talking about. 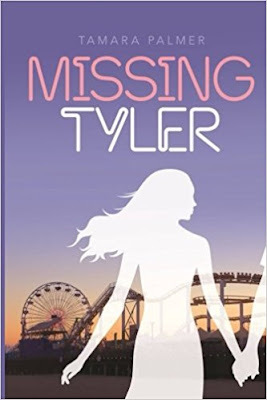 The end result is that "Missing Tyler" was published on Create Space. What can I say? I'm a self published author and I've published on Create Space. I think they are great people and I've enjoyed working with them. I have particularly liked when Create Space let me design my own book from beginning to end, which they will allow you to do. It appeals to my controlling nature! At the same time, they have their own crafts people who are willing to help you in putting together the interior and exterior of your book and also get it all set for a digital version on Amazon and elsewhere. So I do not in any way have a problem with Tamara Palmer's choice of self-publisher. I will also say that the opportunities for a self published writer to market his or her book is far more extensive than ever before. Given that you have a good product, you should be well able to succeed as an author through Create Space as you might with a more traditional publisher. On the other hand, the expertise, financial support, and credibility that a traditional publisher lends to you really doesn't hurt. Final comments, Tamara Palmer is a well travelled individual having taken her talents from New Jersey, to Colorado, to Illinois writing busily along the way. She has a B.A. in English and Creative Writing from Eastern Illinois University and runs a Career Advisement business. I understand that she has a second book on the way--and as I said, literary agents take note.